The wait is finally over, with the introduction of the brand new FALKOR BLITZ SBR. Both of these creations represent the latest technical advancements in today’s modern AR-15 Short Barrel Rifle. FALKOR BLITZ SBR boast unparalleled control and reliability, Blitz upper and lower receiver sets are precision machined by Falkor to optimize operation by addressing bolt carrier-tilt and walk. 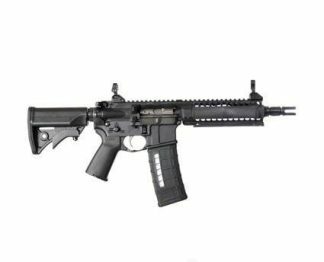 When combined with the specially designed bolt carrier group and Blast Cap tunable muzzle break and mirrored ambidextrous controls, the Blitz represents a breakthrough in AR-15 SBR Rifle design, resulting in the most reliable AR-15 SBR on the market. Each component of the FALKOR BLITZ Short Barrel Rifle was designed with the professional end user in mind and machined to aerospace tolerances in FALKOR’s Montana based headquarters.